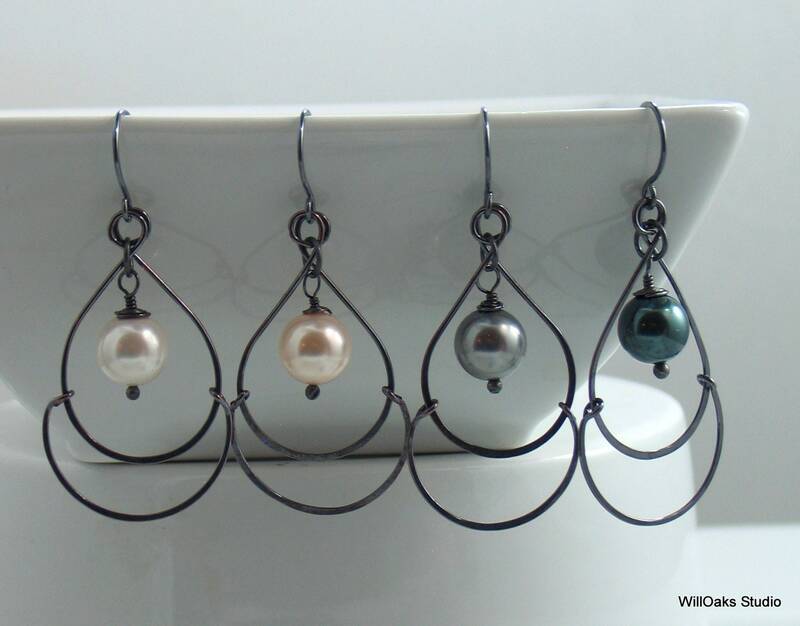 Swingy framed pearls drop into hand forged metal frames shaped like teardrops. 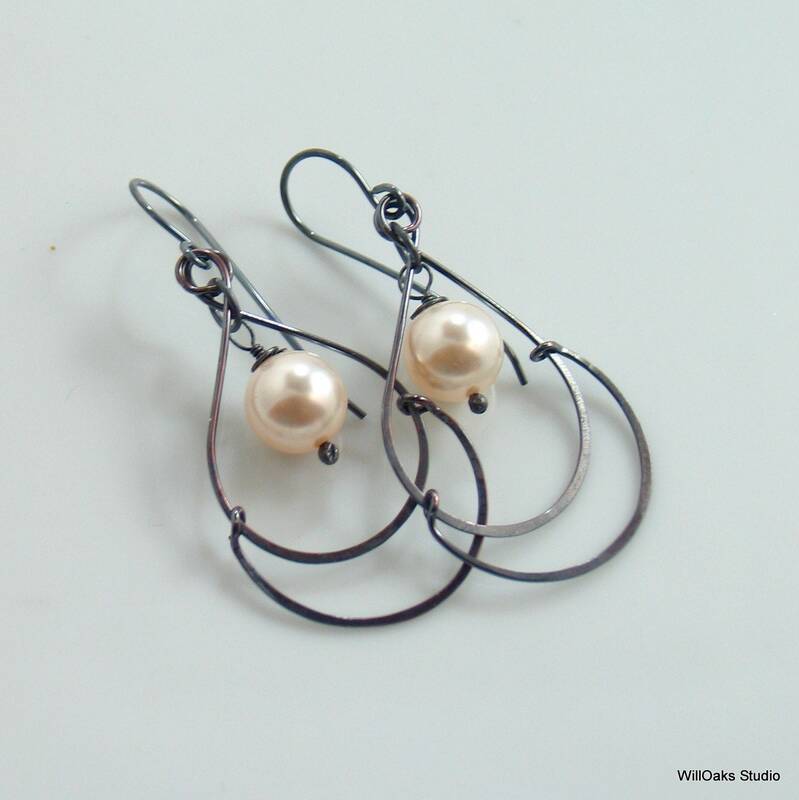 All hand shaped and forged copper and sterling silver, oxidized to dark colors, and offered with your choice of pearl color. Large 10mm Swarovski Crystal Pearls in your choice of white, ivory, grey or dark tahitian. 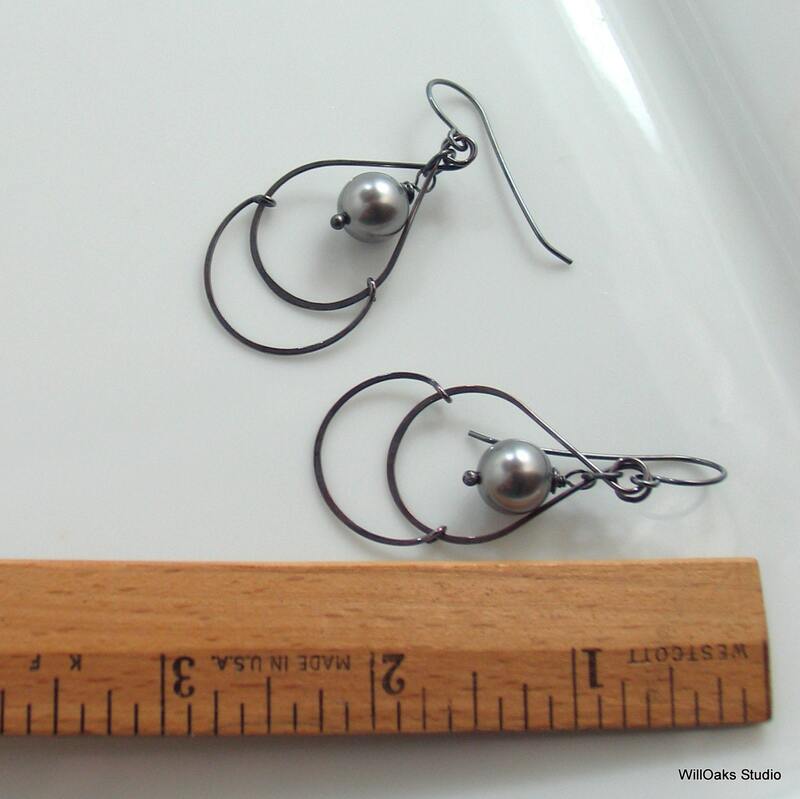 Total earring length is about 2 1/4" measured from the top of the ear wire. About 3/4" wide at the widest. The bottom curve is hinged to swing from the teardrop, adding movement to the design. 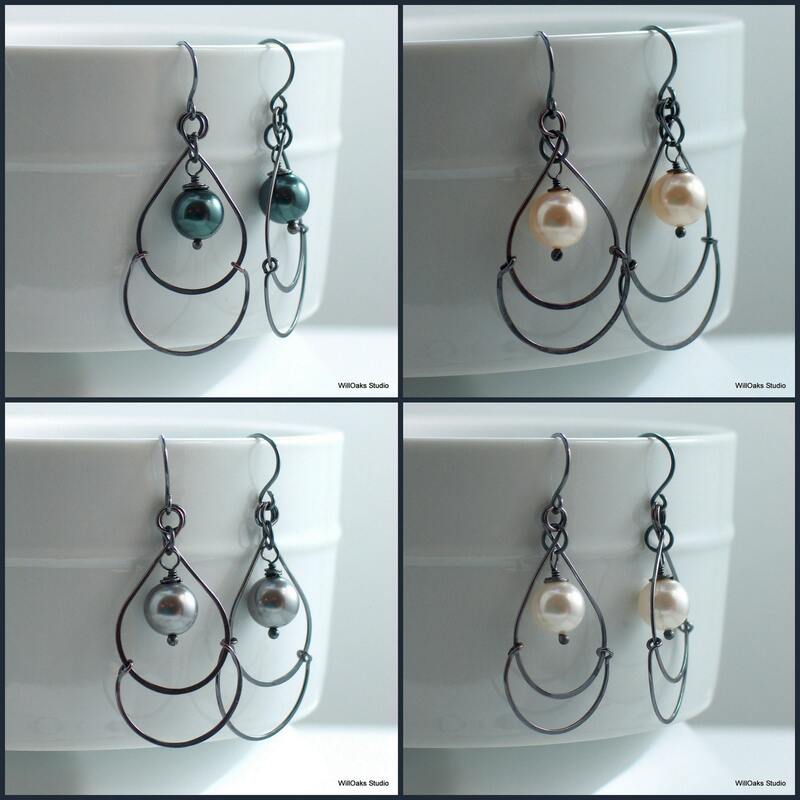 Elegant minimalist dangle earrings are modern, light weight and very comfortable. My original design dangles about 1 3/4” long by about 3/4" wide. Oxidized sterling silver ear wires include clear silicone earring backs to protect against loss. Ready to mail in my signature box--and a perfect selection for affordable original gift giving! 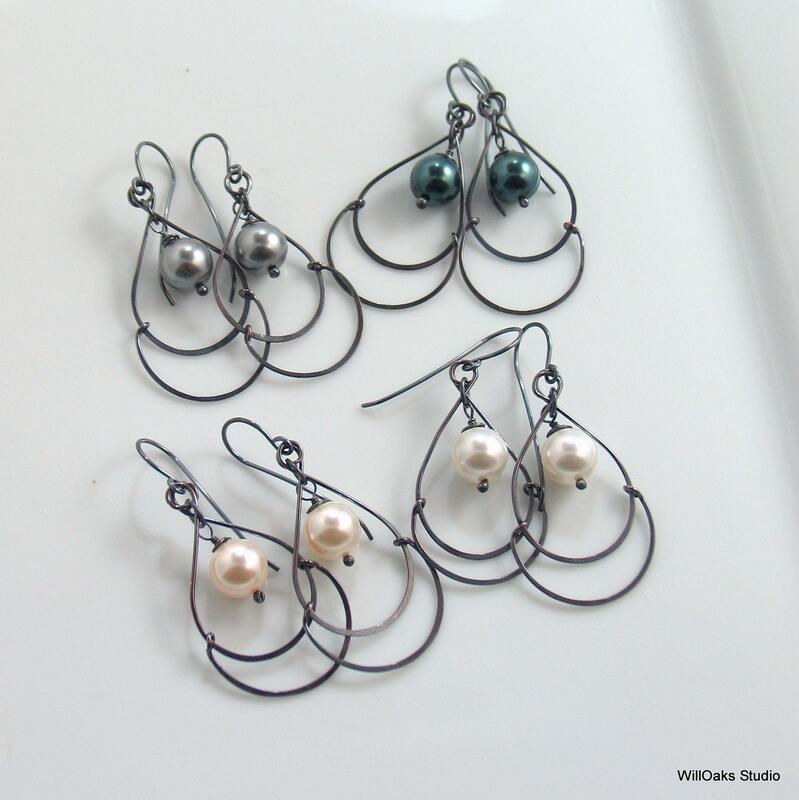 Please visit the home page for my shop here https://www.etsy.com/shop/WillOaksStudio as the list on the left side includes different sections for other earring designs and series.